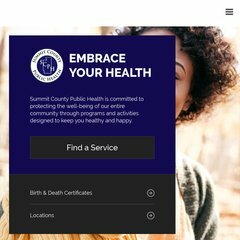 Topics: Clinical Services, Environmental Health, Community Health, Schools, Programs/contact Us, and Birth/death Certificates. The site has about 7 users daily, viewing on average 2.00 pages each. It is hosted by Jefferson Pilot (Georgia, Atlanta,) using Microsoft-IIS/7 web server. The programming language environment is ASP.NET. Its 3 nameservers are ns1.lnhi.net, ns3.lnhi.net, and ns2.lnhi.net. PING (65.36.168.129) 56(84) bytes of data. Pinging the server, resulted in a 37.8 ms response.